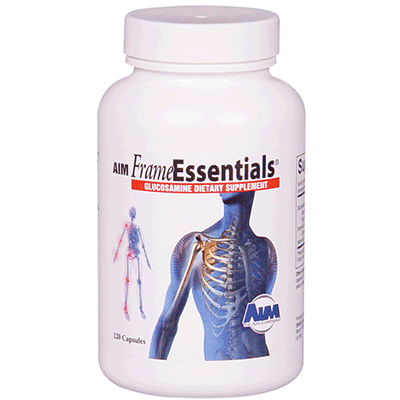 AIM Frame Essentials® contains two types of glucosamine, with methylsulfonylmethane and boswellin extract included in our formula for a combined, synergistic effect. Glucosamine helps stimulate chondrocytes to produce more collagen and proteoglycans. Proteoglycans in bone joints and tissues, allow for more water to be absorbed, resulting in healthier cartilage with greater ease of movement.